Feed Me Oil functions like a more sophisticated version of the classic game, Pipe Dream. Filling up the goofy creatures is accomplished by guiding the oil from a broken tube into their mouths via a series of ever more convoluted contraptions. You begin with simple movable bars and as you learn the physics of the game, you are given ever more complicated tools, such as fans, magnets, rotating platforms, and more. If you use all of the tools provided (called elements in the game) the solutions are not overly difficult, but the less tools you use, the higher your score. 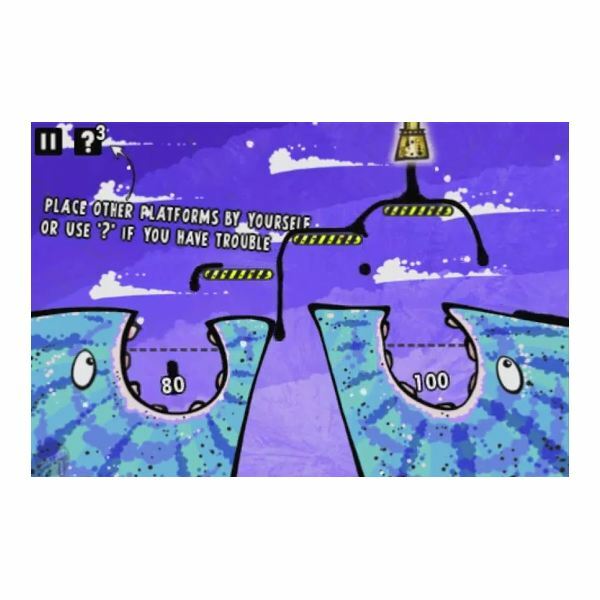 Bonus levels can also be unlocked via high scores, and feature more novel situations than the standard levels, such as working in a zero gravity environment. You begin each level by deploying and positioning your elements. These can be moved repeatedly or erased as you see fit. When you have them set to your satisfaction, a double tap will start the oil flowing and you will quickly find out if you've sent the goop to its intended target, or off slopping around with a mind of its own. After this, it's a game of trial and error, resetting and readjusting your elements until you complete the level successfully. The game offers you instant hints in the initial levels, but quickly begins to put time lock-outs on how often you can access them. You can unlock the time restraints by paying another 99 cents, but given the initial price for the game is also 99 cents, the cost comes across more like a price gouge, as it essentially makes you pay for the game twice. The game mechanic of using various devices to guide liquids around an environment is sure to bring about comparisons with another mobile game, Enigmo. The popular World of Goo is also likely to bring comparisons, as it and Feed Me Oil involve puzzles and goo. There are distinct differences, however, that set this game apart from both games. Feed Me Oil is not really a successor to either of these games. Instead, it is as if the two game titles had a baby. Enigmo lends the basic concept of guiding a liquid with tools, while World of Goo lends not just a sticky black substance, but more importantly the playful art design. This frees the game from the drabness of Enigmo without substituting complexity. The bright color pallet and cartoony character design bring a charming sensibility to the game, making it a joy to inhabit as you play through the story. It leaves an overall impression that it's as if you are watching a child's doodles brought to life. The oil animation gives the goop a wonderfully bubbly, bouncy feel without coming across as an especially malevolent substance you might feel bad for sending down the friendly monster's throats, and it flows in a logical fashion. The subtle animation of the creatures in the world, such as eyes that follow the action, really bring it to life with remarkable simplicity. The sound effects are minimal, aside from a few action feedback chimes, and the slurping sound of the oil. The sound is outstanding, however, as it should be considering that the oil is the central "character" of the game. The slurpingly thick sound as it pours in a stream plays well against the splattering drops of spillage you'll hear when you make a mistake and it breaks into seperate globules. The music is generally upbeat and jazzy, fitting for the abstract cartoony world. 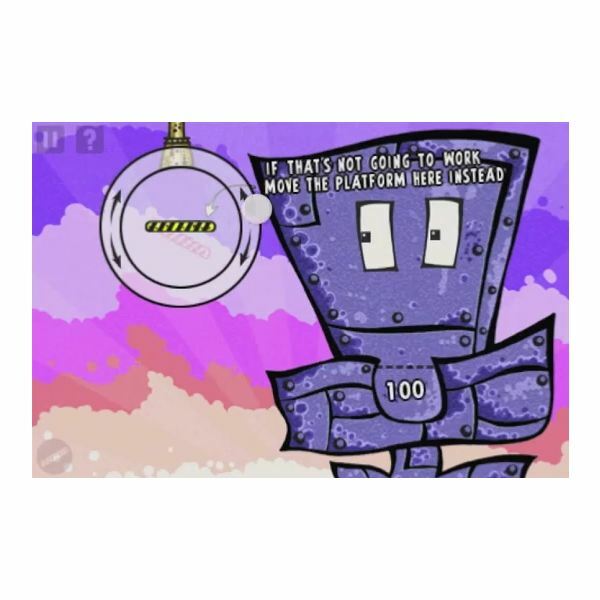 The music-box like soundtrack, however, can get repetitive and may not be for everybody, especially if they find themselves stuck on a level for a particularly long time. Although probably the weakest aspect of the game, a mute function will allow you to toggle the soundtrack off if you find that it isn't your cup of tea. The gameplay is simple, but like all well designed puzzle games, addictive. The Crystal board, Chillingo's social gaming network solution, is found on the main menu and lets you track your scores and achievements online and see how you stack up against your friends. Chillingo is known for their support of their games after release, and Feed Me Oil is no exception. Although released with only three chapters, with 15 levels per chapter, the menu makes it clear that new chapters will continue to be released, extending the lifespan of the game. 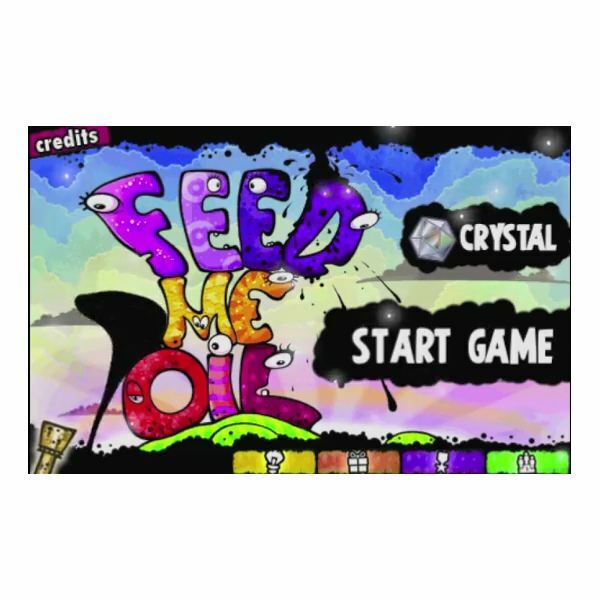 Despite some small issues with repetitive music and a hidden fee, Feed Me Oil is a title well worth the investment, with a scalable difficulty system, making it a great game for adults and children alike. Screenshots taken by author on an iPhone 4.